Not sure if a hurricane is coming your way? Are you a weather junkie and watch The Weather Channel all the time for whatever reason? Then you’ll appreciate Stormpulse. 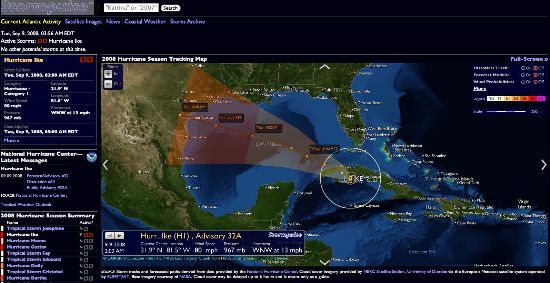 This website uses data from the National Hurricane Center and NERC Satellite Station along with NASA to put together these beautiful maps for tracking hurricanes and tropical storms. It also has historical data for older hurricanes like Katrina. Totally great for weather junkies where the television and other websites just don’t give a clear and concise way of tracking with good imagery.